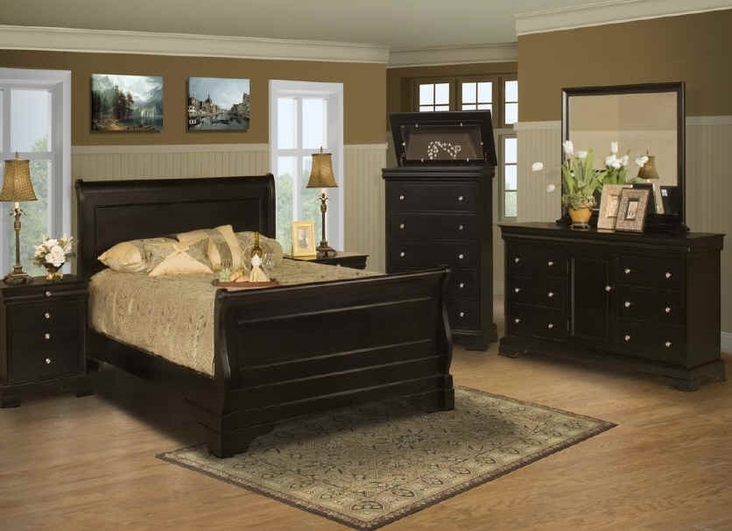 The Belle Rose collection by New Classic Furniture presents a refined and sophisticated update of the classic Louis Phillipe style with its fresh black cherry finish. 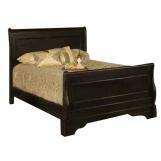 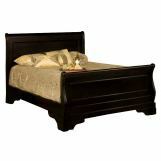 The graceful sleigh bed features accent moldings in the head and footboard and bracket feet. 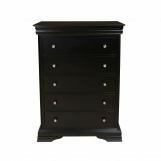 Dresser has shelved storage behind the door, while the unique chest sports a top that lifts to reveal felt lined jewelry storage area and beveled glass mirror. 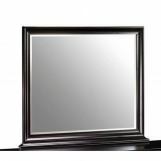 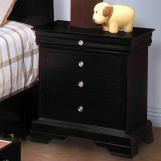 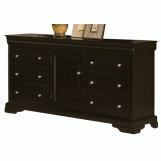 All cases have attractive full return top and base moldings and bracket feet.